● Started 13th and finished second. ● Harvick raced his No. 98 Hunt Brothers Pizza Ford from 13th place into the top five within the first five laps. ● Harvick reported that the car was handling a little tight in the center and needed help with rear grip on lap 15. ● The Hunt Brothers Pizza driver maintained the runner-up spot to the conclusion of Stage 1. He made a trip to pit road at the end of the stage for air pressure and chassis adjustments, four tires and fuel. Quick pit work allowed Harvick to exit pit road first, placing him in the lead position for the restart. ● After getting passed for the top spot at the start of Stage 2, Harvick settled into a comfortable pace in second place. ● Harvick made a bid for the lead on lap 69 but was passed by third-place driver Kyle Larson as he passed the lead car. He once again started quietly logging laps in second place, noting on lap 85 that the car started to handle on the tight side in the center of the turns during long, green-flag runs. ● The Bakersfield, California native was in second place when Stage 2 came to a close. He made a trip to pit road for another round of air pressure adjustments, four tires and fuel. ● Started second and finished second. ● Harvick picked up where he left off to start the final stage, running in second place. A fast racecar allowed Harvick to take over the top spot on lap 104. ● Caution waved on lap 114. Harvick reported that he still needed help with rear grip at the exit of the turns. He made a trip to pit road for adjustments, four tires and fuel. He was the first driver off pit road but because driver Chase Briscoe stayed out during the caution, the No. 98 Hunt Brothers Pizza Ford was scored in second place for the restart. ● Harvick restarted second but immediately passed the leader to reassume the top spot. He maintained the top spot until getting passed by his teammate Cole Custer on lap 157. ● Green-flag pit stops started taking place on lap 165 with Harvick making his own trip to pit road on lap 167. He noted that the car was still handling on the tight side in the corners so the team made another air pressure adjustment, changed four tires and added fuel. ● Once green-flag stops cycled through, Harvick was back in second place – the position he maintained to the end of the race. 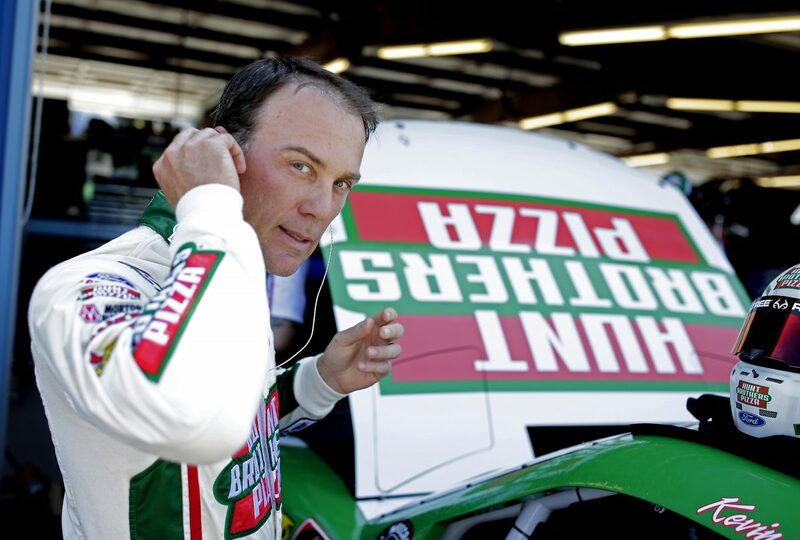 ● Harvick scored his second top-five and third top-10 finish of the season. ● Harvick led three times for a total of 38 laps. ● Harvick’s SHR teammate Cole Custer finished third. ● This was Harvick’s fourth NASCAR Xfinity Series start of the year for Stewart-Haas Racing with Biagi-DenBeste. ● Harvick’s next appearance in the No. 98 Ford Mustang is schedule for Darlington (S.C.) Raceway on September 1. ● Kyle Larson of Chip Ganassi Racing won the Overton’s 300 at Chicagoland to score his 10th career Xfinity Series victory, his second of the season and first at Chicagoland. His margin of victory over second-place Harvick was 8.030 seconds. ● Only 11 of the 40 cars entered into the race finished on the lead lap. ● The race featured 13 lead changes among seven drivers and four caution for a total of 21 laps.